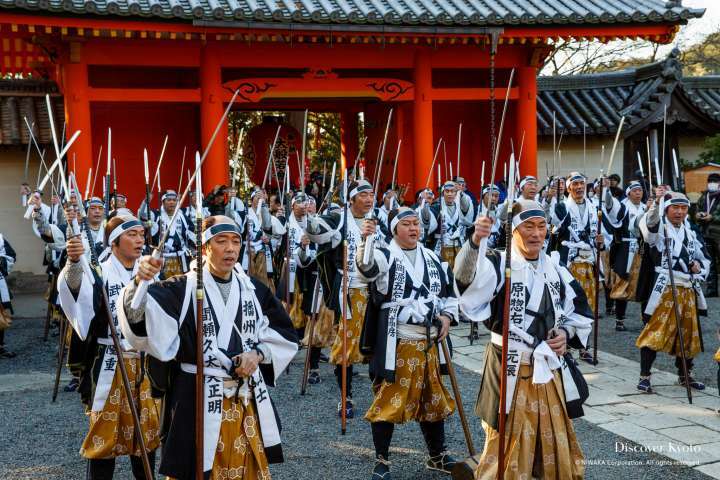 Celebrating the history of the 47 Rōnin, a tale said to embody the samurai code of honor, the Gishi Matsuri is held on December 14th each year at the Bishamon-dō temple in Yamashina. 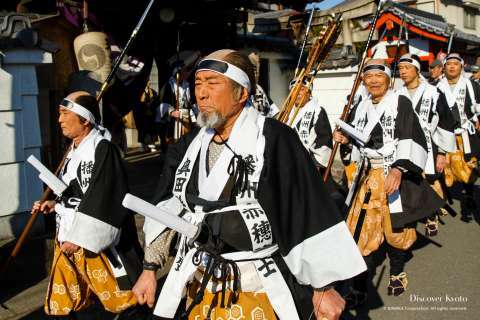 According to the story, the rōnin were left masterless when their lord was forced to commit suicide as punishment for an indiscretion against an official. The samurai could not allow the stain to remain on their dead lord’s reputation, so after laying low and planning for years, the warriors infiltrated the official’s estate and succeeded in killing him. 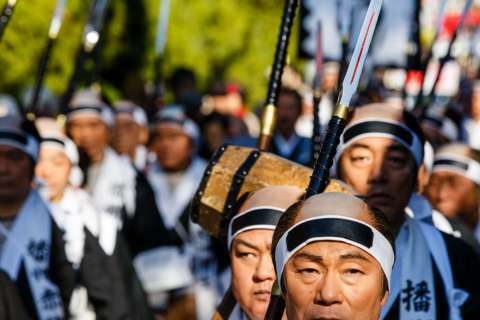 After taking his head to their lord’s grave, the warriors turned themselves in, but because they had acted to restore their lord’s honor, they were allowed to commit suicide rather than be executed, solidifying their role in Japanese legend. 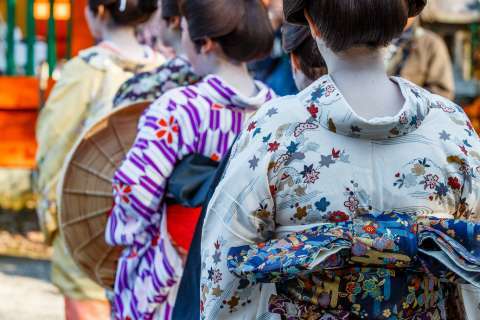 The main event of the Gishi Matsuri is a parade that involves participants dressed in traditional clothing and armor walking through the neighborhood, re-enacting the day that the rōnin set out for Tokyo in order to get revenge. 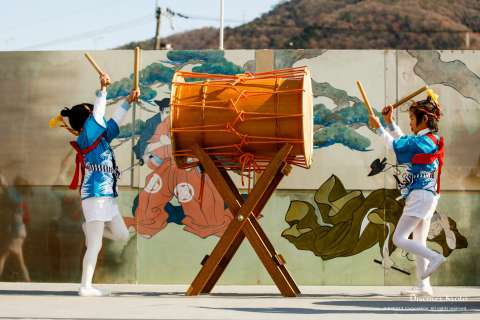 Partway through their journey the group stops at a stage where there are performances by a taiko group, as well as reenactments of famous scenes from the 47 Rōnin story skillfully done by TOEI actors before the group returns to pray for the repose of the honorable departed.